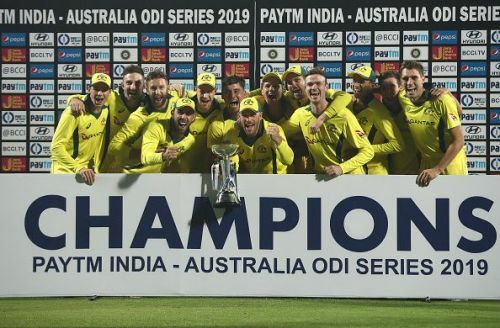 An ODI series win after more than two years was the confidence boost that Australia needed. Australia's series win over India is reminiscent of their win against Pakistan in the 2010 World Twenty20 semifinal. Much like Michael Hussey's fightback in that match, Australia winning the series 3-2 after losing the first two matches illustrates how competitive any Australian team is, even one without most of their best players. It was an unexpected series loss for the hosts, who hadn't lost an ODI series at home since losing to South Africa in late 2015. Worryingly, India did not resolve their problems of backup opening batsman and wicketkeeper, with KL Rahul and Rishabh Pant proving ineffective. Australia's spin bowling improved considerably from their previous ODI series and their batting depth improved with the form of Usman Khawaja and Peter Handscomb. Aaron Finch's form remains a concern but should retain his place for the World Cup. Usman Khawaja has made the most of his ODI chances and should be in the World Cup squad. Usman Khawaja's form - 383 runs at an average of 76.60 - has rendered him virtually undroppable at this point. Initially brought in to reflect a more circumspect batting approach, Khawaja and Peter Handscomb (236 runs at 47.20) have proven their batting credentials and are the least likely to make way for Steven Smith and David Warner's return. Finch impressed in the third ODI with 93, but has had a poor tour otherwise. However, he can take confidence in having led Australia to their first ODI series win in more than two years. Shaun Marsh's form is a concern, with only 29 runs in 3 innings, and he has the ODI series against Pakistan to regain his form. Ashton Turner's reputation as a finisher was seen during the fourth ODI with 84*(43) and has put himself in consideration for a World Cup spot. Marcus Stionis impressed with one half-century before an injury interrupted his series, but remains in contention as the leading seam bowling all-rounder. Pat Cummins and Adam Zampa (14 wickets and 11 wickets respectively) were Australia's best bowlers in the series. Zampa's performance helped address Australia's spin bowling problems, establishing himself as the primary spinner. Nathan Lyon only managed 3 wickets in the series, and will need more to be assured of a World Cup spot. 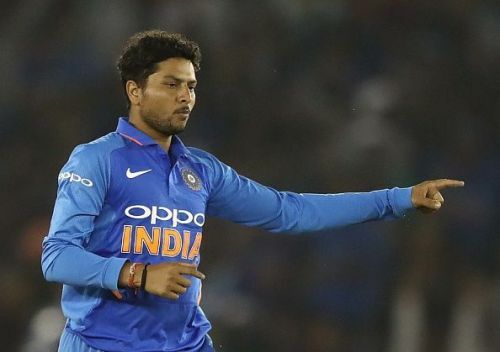 Kuldeep Yadav's 10 wickets was one of the few positives for India in this series. If India were to be brutally honest, this series has been useful in identifying players who aren't going to the World Cup rather than identifying players for backup positions. India failed to identify a backup opener - KL Rahul did not open in the one match that he played - and Rishabh Pant's keeping requires improvement, despite impressing with the bat. However, a lack of opportunities and mismanagement should be acknowledged - neither have had enough opportunities to open the innings (Rahul was used as a candidate for the no.4 position) nor to keep wicket (Pant has only kept in two matches in ODIs, with Dinesh Karthik having been the preferred backup wicketkeeper). Shikhar Dhawan endured poor form throughout the series but has shown that he can raise his game for 50 over tournaments (338 runs in the last Champions Trophy and 412 runs in the last World Cup). Virat Kohli was the standout batsman with two centuries from five matches. Vijay Shankar impressed with his batting, but his bowling remains a concern with only two wickets from five matches. Kedar Jadhav impressed as a finisher with 172 runs at an average of 43, and Kuldeep Yadav impressed with 10 wickets in the series. Bhuvneshwar Kumar impressed with 4 wickets in the series and 46 runs as a batsman in the fifth ODI, but a lack of match practice was evident in his performance in the fourth ODI when he was unable to bowl the ideal lengths during the death overs. Ravindra Jadeja had a poor series with only 3 wickets and 45 runs, including a duck in the final ODI. Jasprit Bumrah impressed after a layoff, with 7 wickets in five matches.